Back in the 1950s, when I was a kid, we had our share of bullies. They didn’t go unchallenged and sometimes found themselves on the receiving end of a good thumping. Normally, after the fight both parties went their way and that was the end of it. The crude education bullies got back then involved running into someone tougher than they were. When they met that person their attitude was adjusted and they took up other pursuits. That was the end of it. They didn’t come back with rifles and pistols and shoot their peers and school staff. Growing up, I never heard of a kid committing suicide because of bullies. That doesn’t mean it didn’t happen back then, but it certainly wasn’t a common occurrence in the headlines like now. Bullying leads to death nowadays. Tragic stories of students committing suicide are too common. Two weeks ago, a Corpus Christa, Texas high school freshman, Teddy Molina, took his own life after he couldn’t stand being bullied any longer. Molina was mercilessly taunted because he was part Korean and part Hispanic. Authorities at Flour Bluff High School don’t think they have a bullying problem. A lot of parents with students there do. As controversy swirls about the school district, which says it has bullying information and programs for all ages, Molina’s parent’s and sister mourn his loss. At some point, and I honestly can’t say when it was, bullying became a major problem in American schools. Statistics show that bullying continues to increase with each decade. The current statistics on bullying in the classrooms of America are scary and sobering. - It’s estimated that 160,000 children miss school every day due to fear of attack or intimidation by other students. - Sixty-one percent of students said students shoot others because they have been victims of physical abuse at home. - A bully is five times more likely to have a serious criminal record when he/she grows up. - Two-thirds of students who are targets become bullies. - Twenty percent of all children say they have been bullied. - Twenty percent of high school students say they have seriously considered suicide within the last year. - Twenty-five percent of students say teachers intervened in bullying incidents while seventy-one percent of the students say they intervened. - The average child has watched 8,000 televised murders and 100,000 acts of violence before finishing elementary school. American schools harbor approximately 2.1 million bullies and 2.7 million of their victims, according to Dan Olweus, of the National School Safety Center. - Fifty-six percent of students have personally witnessed some type of bullying at school. - Fifteen percent of all school absenteeism is directly related to fears of being bullied at school. 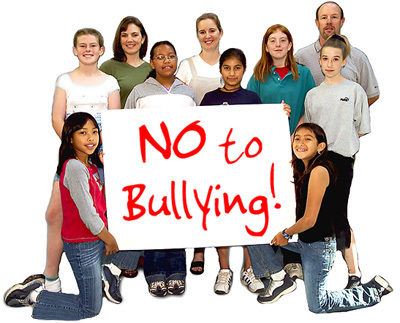 - Seventy-one percent of students report incidents of bullying as a problem at their school. - One out of twenty students has seen a student with a gun at school. Suicide is the third-leading cause of death among people between the ages of 10 and 24, with males making up 84 percent of the approximate 4,400 victims reported a year, according to the Centers for Disease Control and Prevention. Hispanic and Native American teens and young adults have the highest rates of suicide-related fatalities. I could go on but you see my point. Something has to reverse the trend. If anyone believes that bullying doesn’t take it’s toll on families, schools, and society take another look at the statistics above. There’s a non-profit group that offers alternative support for bullies and people being bullied called Make Beats Not Beat Downs ( mbnbd@hotmail.com ) that partners with some of the most talented musicians nationwide. The resources are out there, and have been for some time, but the problem continues to plague our schools despite anti-bullying programs. Those programs do help some schools cut bullying down as much as fifty percent. Bullying will never totally go away. How could it in a society that reveres a good smackdown? As It Stands, now more than ever parents must provide moral guidance and the confidence to deal with bullies, to help their children face the reality of our violent culture.